Do you remember going to the arcade when you were a child? How about Chuck E. Cheese’s or spending a few hours at Dave and Busters? 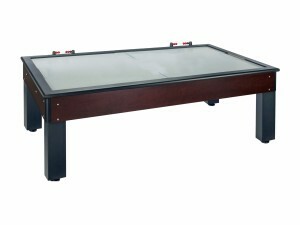 One of the most popular and fun games to play at all of these venues were the air hockey tables. 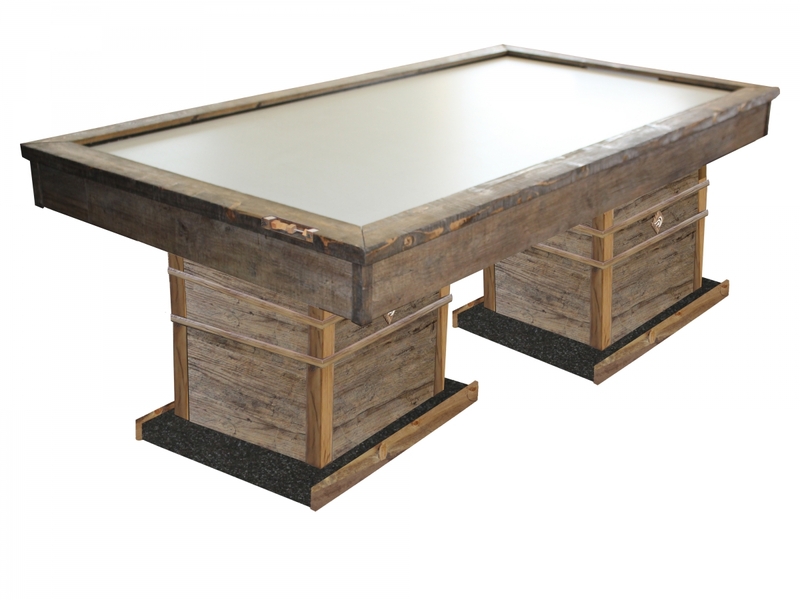 Now you can bring the fun to your own basement and play right away without waiting for the table to be free! 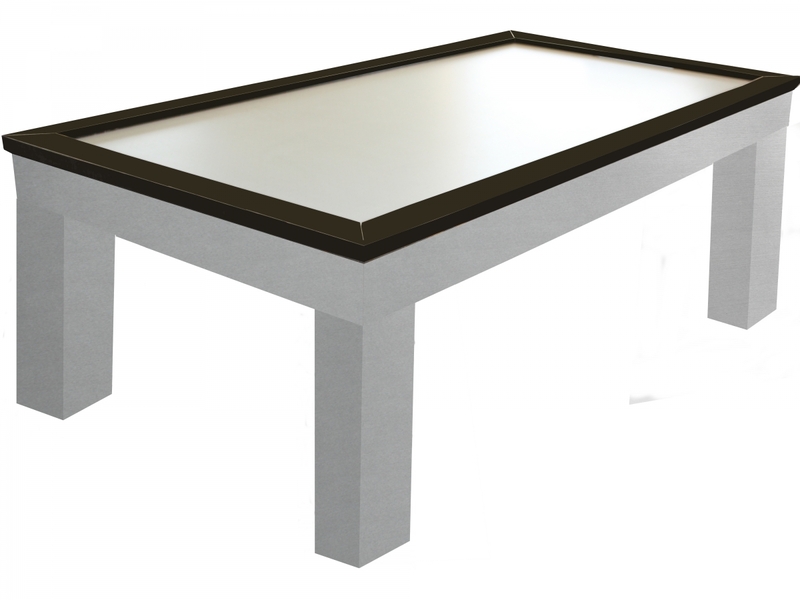 Here at Century Billiards & Game Room, we carry only the best quality of air hockey tables. 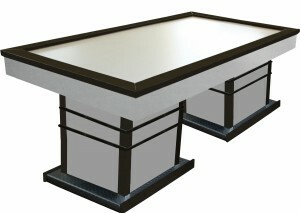 We offer our customers the best brands and models around that will hold up to the everyday wear and tear. We also service all air hockey tables that we sell. It is important while shopping for an air hockey table to consider a few things. The lower quality air hockey tables you may find in sporting good stores or local department stores will usually not last for more than a year or so. Along with the various other custom game tables we offer, this includes our air hockey tables as well. 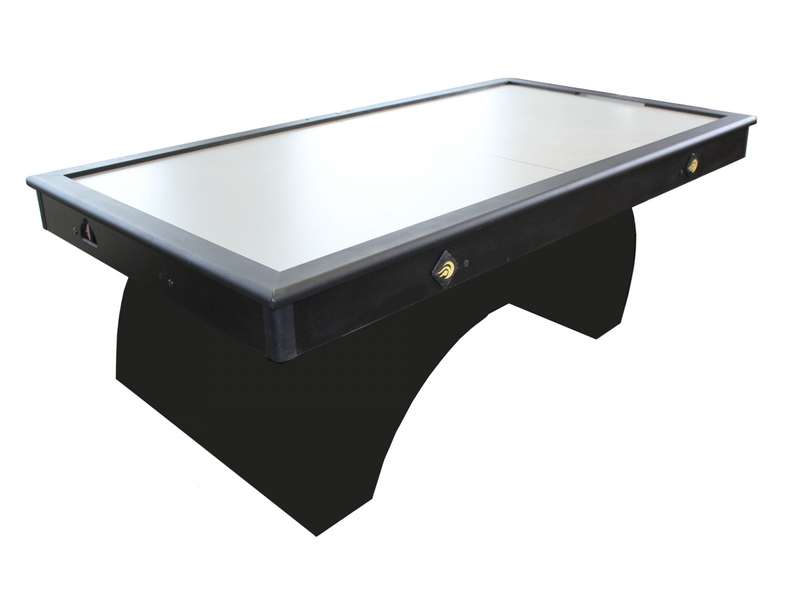 What’s better than showing off your one-of-a-kind custom air hockey table to family and friends in your own home? 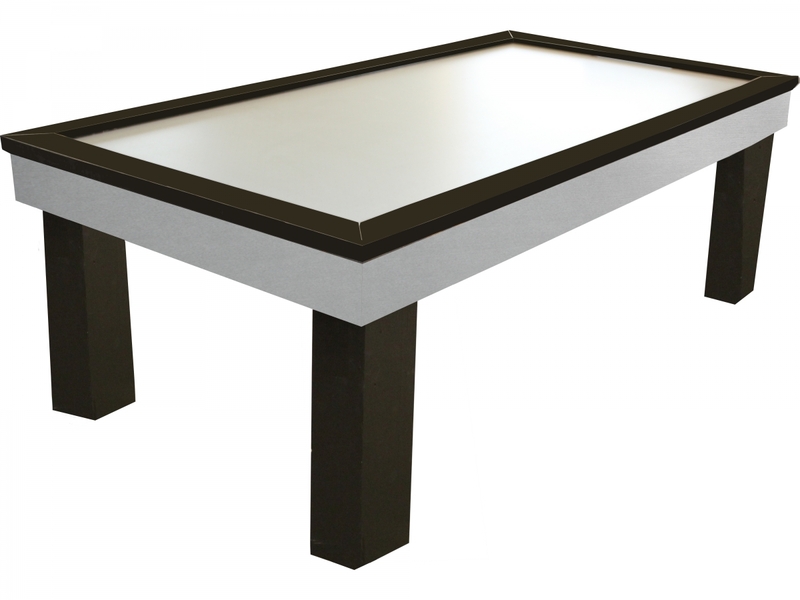 We can customize and design your air hockey table just how you envisioned it! 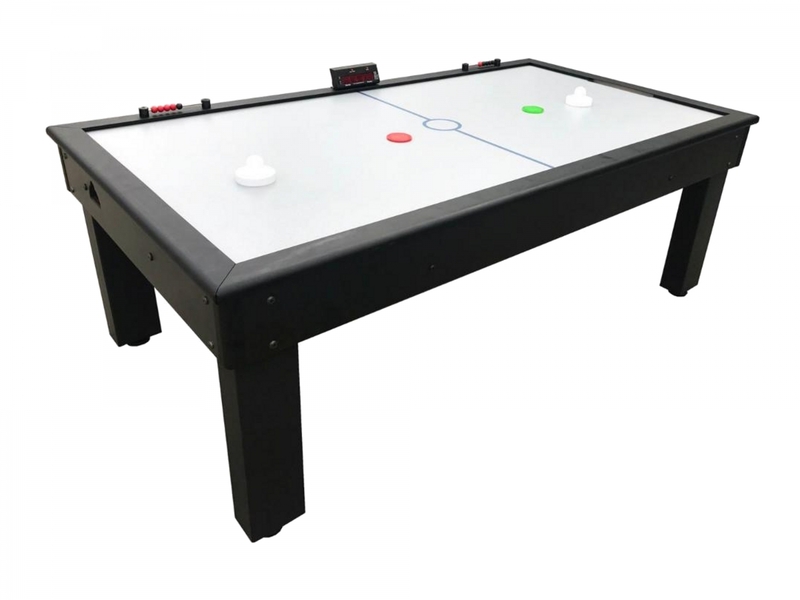 Feel free to take a look at some of the air hockey tables we offer on the right-hand side of this page. See something you like? Have an idea for your own custom design or dimensions? Contact us for more information at (631) 462-6655! 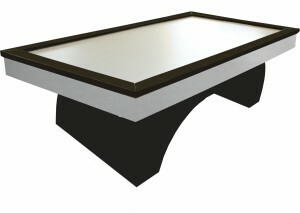 Our air hockey tables are made of high quality materials and do not bend. They will need to be carried from a truck into the space you’re looking to play. 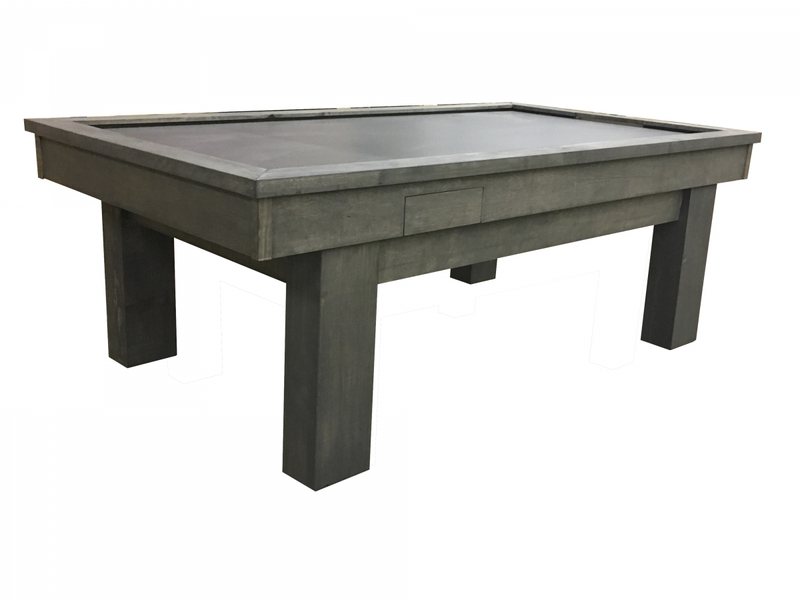 The professionals at Century Billiards also offers table moving services to our customers and we can even help you in choosing the optimal space to use for your playing area. 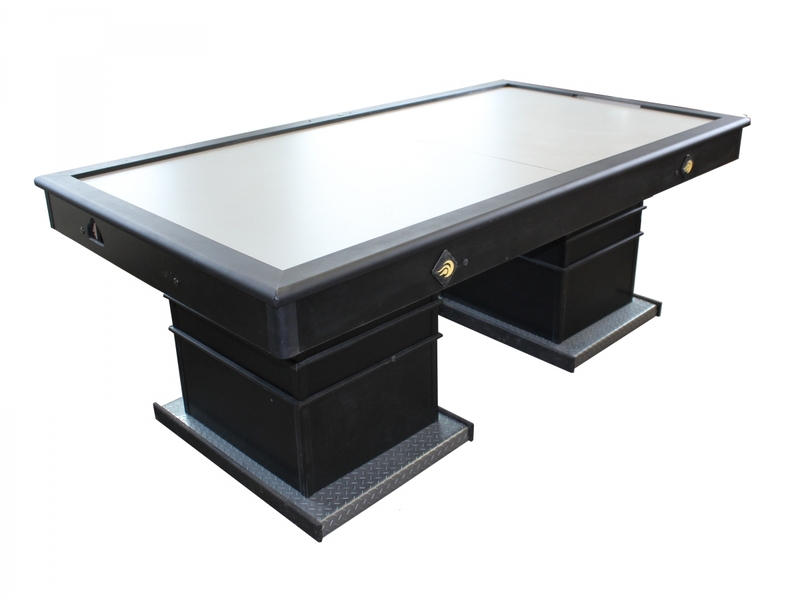 So if you’re ready to challenge your kids, your brother, or even mom and dad on a quality or custom air hockey table, speak with an expert at Century Billiards. We have actually played on these air hockey tables to ensure they’re built to the highest of standards. 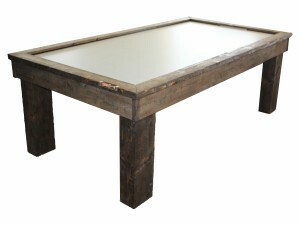 Come down to see which tables we have on display and try it before you buy it!